Missing the authentic taste of Thai cuisines from the land of smiles? Here at Gin Khao, we culminate the unique qualities of Thailand, presenting an excellent variety of Modern Thai cuisine, exquisitely prepared for you! Aesthetically designed with style and comfort, our laid back casual infused ambience provides one with an unforgettable dining experience. Have your senses tantalised by the fragrance and subtle tastes of Thailand right here at Gin Khao! Our greatest pleasure is to welcome you with immense joy, cultivating a tradition that has always made us special. The latest addition to the Gin Khao's family is strategically located at One Raffles Place, right in the CBD belt. 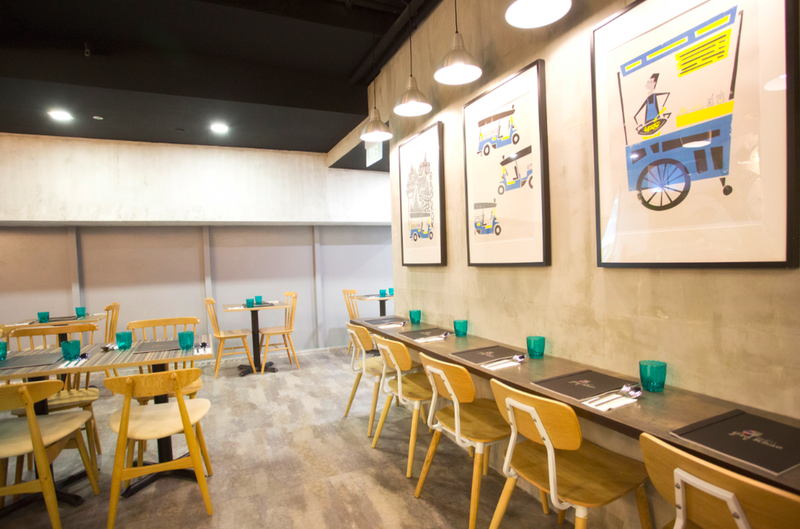 Featuring the minimalistic design of its predecessor, this elegant 65 seater exhibits Gin Khao's signature trademarks with the use of top quality Thai ingredients/herbs and the deft balance of flavours and textures attained on its food offerings. The outlet, that commences operations in February 2016, boasts of a wider selection of takeaway food items such as cakes and salads to cater for the business executives working in the area, whom many do not have the luxury of time to enjoy a meal in comfort. Gin Khao offers its diners the very best in hospitality with an extensive selection of Thai food at affordable prices! So why wait? 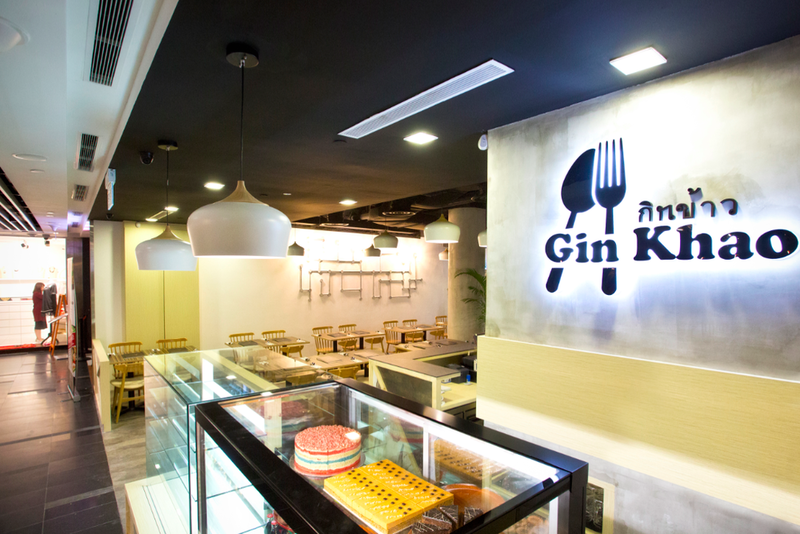 Head on down to our Gin Khao outlet Today! 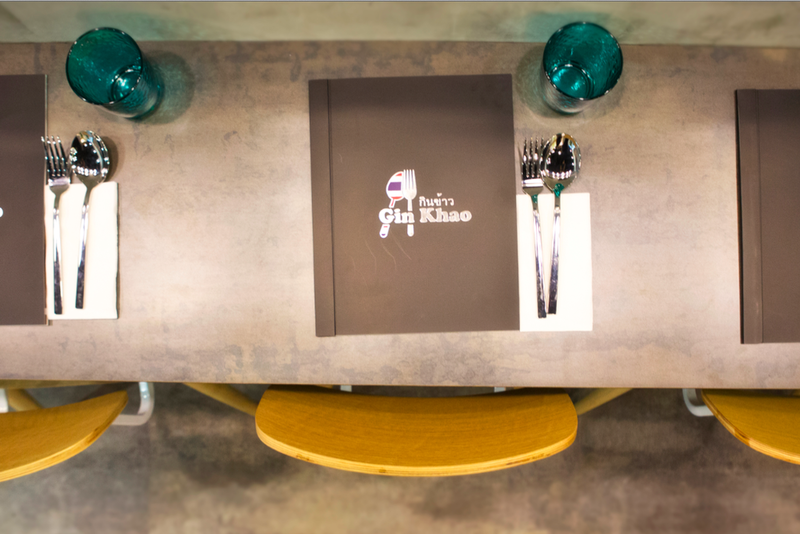 We're excited to share with you on the launch of our second outlet, Gin Khao Bistro! 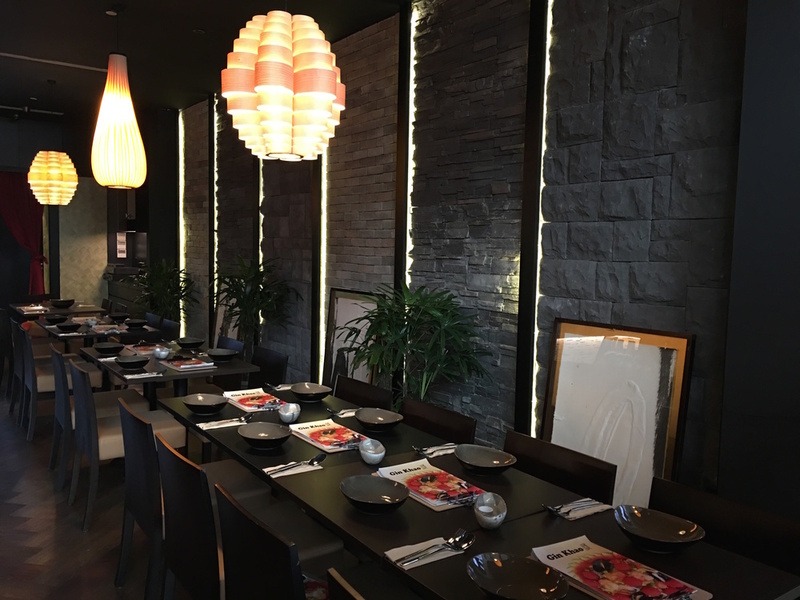 This time round, we aim to provide diners with a different set of ambience, mood and experience altogether, without compromising on our mesmerizing taste of Thai cuisine! 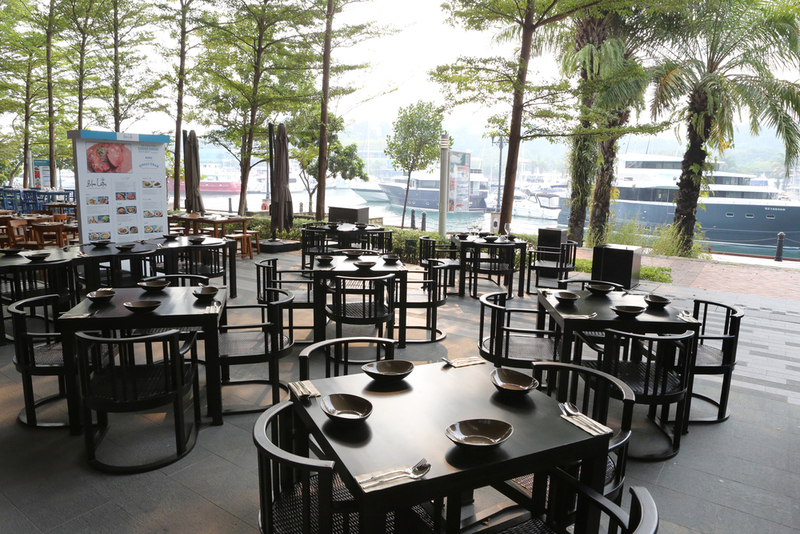 Our new Gin Khao Bistro is located in the Exclusive Sentosa Cove in Quayside Isle. Escape from the hustle and bustle of city life as you hop over to the island of Sentosa! With panoramic views of luxurious waterfront villas, bungalows and up-scale residences, docked by yachts along the restaurants, Gin Khao Bistro allows you to experience a unique short getaway lunch or dinner, without having to leave Singapore! A place where you can relax yourself in comfort, Gin Khao Bistro offers the perfect magical and tranquil setting for business lunches, family gatherings, romantic dinners or simply an after-work cocktail and beer session in our outdoor al-fresco area. Indulge in our delectable Thai offerings over the finest cocktails, wines or non-alcoholic beverages overlooking Asia's First Finest Marina and Leisure Hub. Maintaining the traditions of the past to serve today's new dining era, Gin Khao Bistro continues to serve mind-blowing Thai cuisines that will win your hearts. After all, it's all about the taste and experience when you dine with us!